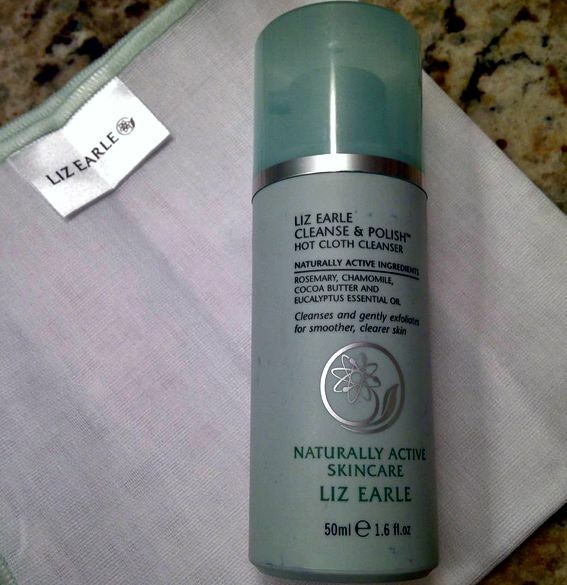 After reading so many great things about Liz Earle Hot Cloth Cleanser I have always wanted to try it. Many people refer to it as one of their holy grail skincare products. Unfortunately the cleanser isn't sold in Canada (I hope one day it is) so my mum sent some over to me. Beeswax (cera alba): The beeswax comes from the honeycombs where bees store their pollen. It has skin relieving properties and helps to relieve chapped skin. Eucalyptus Essential Oil (Eucalyptus globulus): The cooling essential oil produced from the leaves and twigs has decongestant properties and is used to ease muscular aches and pains. Glycerin: This helps to aid hydration. Hops Extract (Humulus Lupulus): This herbal extract has toning properties. D-panthenol (pro-vitamin B5): Has a moisturising effect and helps stimulate cellular renewal. Cocoa Butter: Has moisturising effects on the skin. Rosemary Essential Oil/Extract: Is full of beneficial antioxidant properties. Chamomile Essential Oil/Extract: Helps to soothe the skin. There are two steps for the cleanser. First, massage some product onto your face when it's dry. Second, wet the muslin cloth with warm water and wash off the cleanser. I instantly loved this product. I can understand why so many people rave about it. I put a thin layer on my face and let it sink in for a few minutes then rinsed it off with the cloth. You don't have to remove your make-up before using the cleanser. I found that it removed most of my make-up in one wipe of my face. It left my skin feeling smooth and it looked glowing. I look forward to doing this as part of my skin-care routine as it feels quite relaxing and spa-like. It is available in various sizes, the biggest is 200ml. I currently have the 50ml and I have had it for over a month and still have plenty left. You can buy Liz Earle Hot Cloth Cleanser at Boots or John Lewis.